Sutton Young joins the Western Hemisphere Sports Team after two years as the schools sports anchor. Born and raised in North Carolina, Sutton moved to Crozet in 2014, and is a senior at WAHS. He is also entering his fourth year on the WAHS Track and Field team; he throws the discus for the Warriors. He is a huge sports nerd. 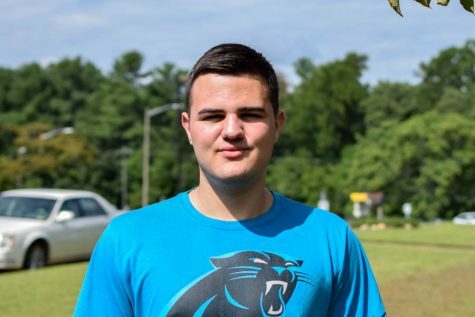 His main team is the East Carolina Pirates, but he also supports the Carolina Panthers, Los Angeles Lakers, New York Yankees, and the Pittsburgh Penguins. Sutton enjoys attending college and professional sporting events, playing and watching sports, being a part of the NBC29 team, and traveling.